As a long-standing partner in machine building and machine design, Micro-Epsilon offers a wide range of sensors and measuring systems. 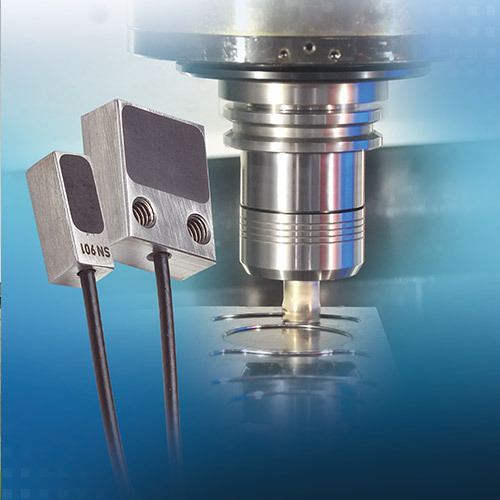 Miniaturized and integrated into machines, displacement sensors measure machine movements, positioning and travel paths and ensure safe machine operation. 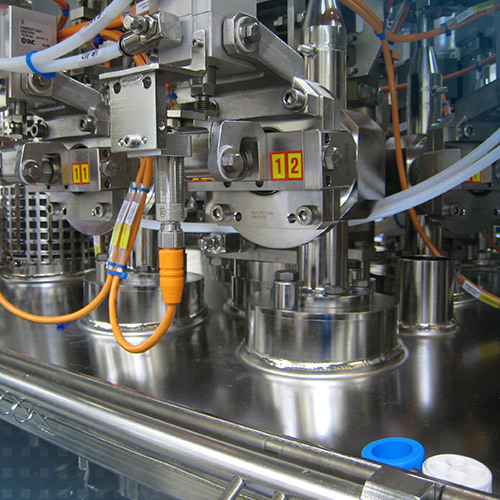 For automated machines and process-integrated machines, Micro-Epsilon sensors monitor a wide range of sizes of manufactured products. Particularly where harsh ambient conditions such as oil, dirt, pressure, vibrations and temperatures are present, sensors from Micro-Epsilon convince with high precision and favorable conditions. 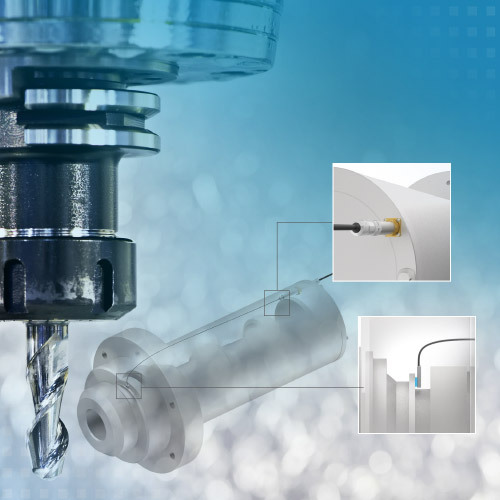 The SGS 4701 displacement measuring system (Spindle Growth System) is developed specifically for high speed milling machine applications. 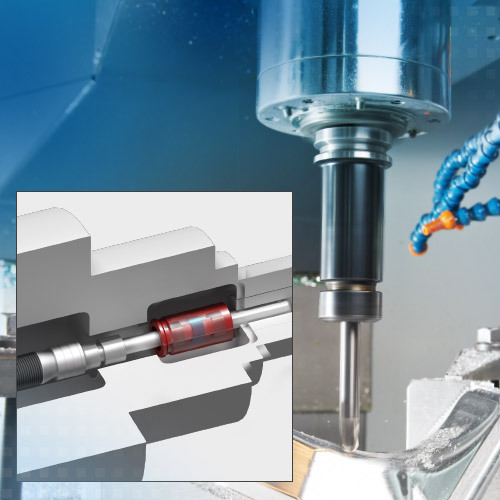 Due to high machining speeds and the heat generated, the linear thermal expansion of the spindle in the precision machine tool must to be compensated for in order to keep the tool in a defined position at all times. 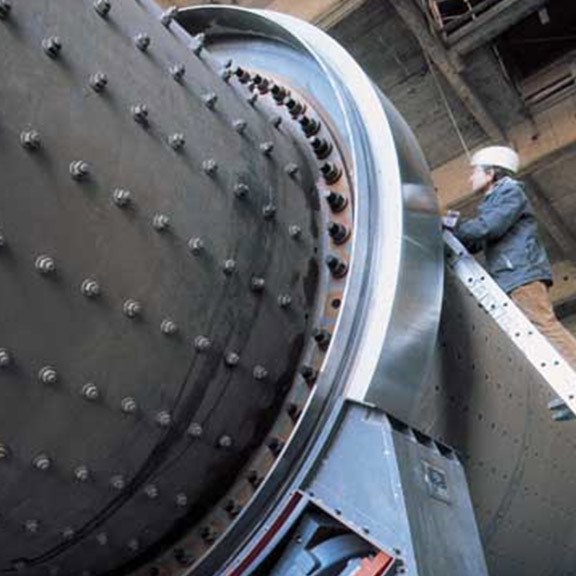 The SGS sensor measures the thermal and centrifugal force expansion of the spindle. These measurement values are fed into the CNC machine tool as correction values, compensating for any positioning errors. The SGS 4701 operates on the eddy current measuring principle. This non-contact measurement method is wear-free. Furthermore, the measurement procedure is resistant to disturbances such as heat, dust and oil. Often, initiators and switching rings, which provide a switching signal, are used to monitor the clamping position in high-performance tool machines. However, these require complex adjustment and set up. Analog sensors from the Micro-Epsilon LVP series offer significant improvements. 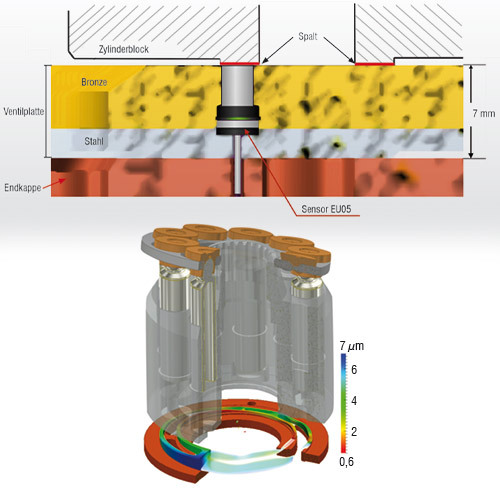 The cylindrical sensor is integrated into the release device and directly measures the clamping stroke of the drawbar. On the drawbar, a ring is fastened, which acts as the target for the sensor. The LVP sensor can be universally used with the most varied types of tool due to an extremely compact sensor design. The sensor supplies an analog signal according to the stroke motion of the drawbar when clamping the tool. Consequently, continuous monitoring is possible without the switching point having to be laboriously set mechanically. The miniaturized sensor electronic unit can either be accommodated at the point of measurement or in the control cabinet. 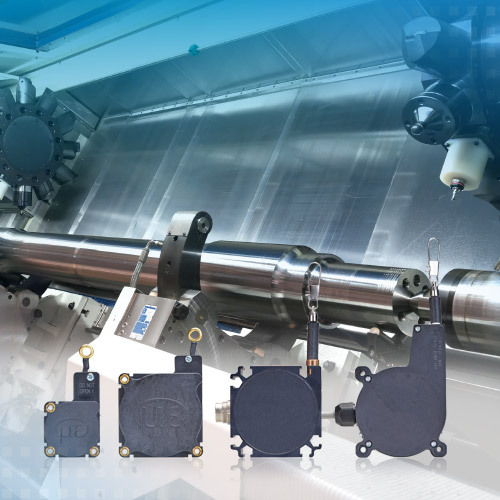 Thanks to its high accuracy, the LVP sensor contributes significantly to meeting the ever increasing demands on machine tool precision and availability. The tailstock is an important part of a lathe or milling machine. The tailstock is used to support long workpieces by means of a center, which catches in the center hole on the front side of the workpiece. In order to detect the center tip, compact draw-wire sensors from Micro-Epsilon are used. 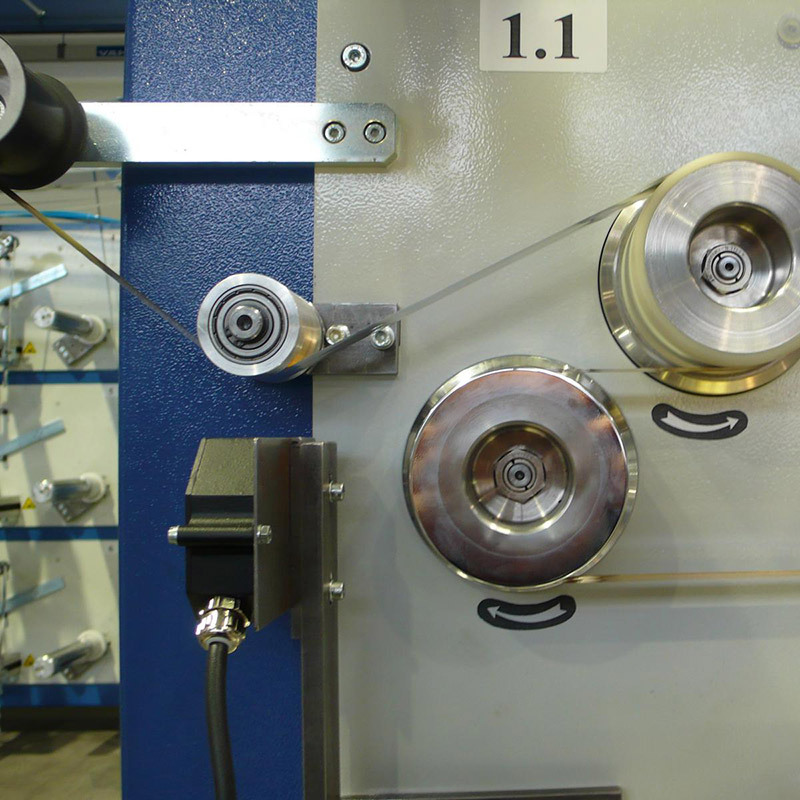 The measuring wire is connected to the center tip and measures the displacement of the tailstock. 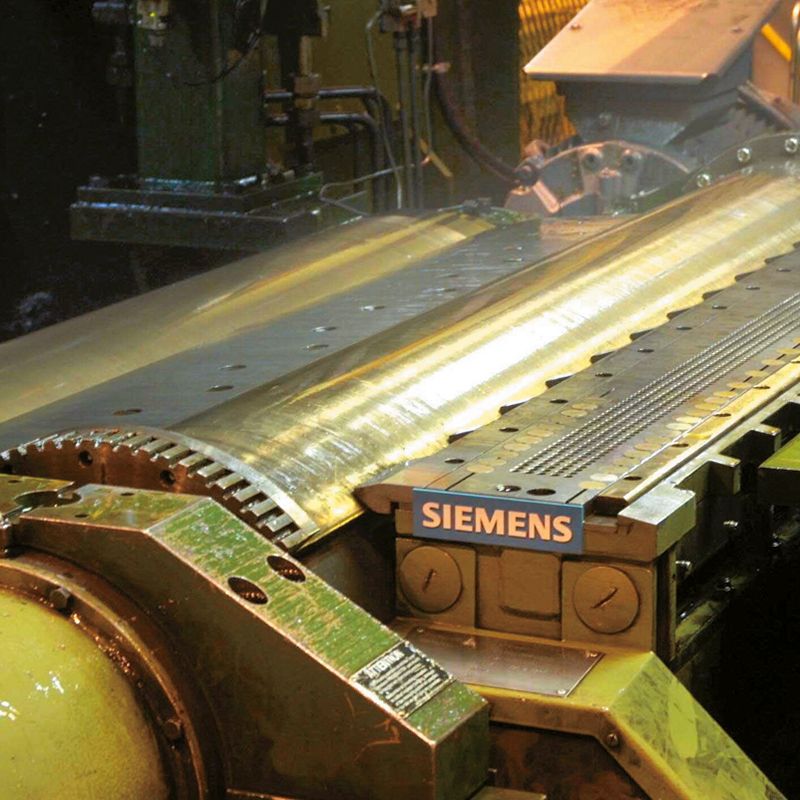 Modern machine tools have complex magazines with various tools that are automatically picked up by the machine. In order for these tools to be accurately picked up, the tool holders must be precisely positioned. 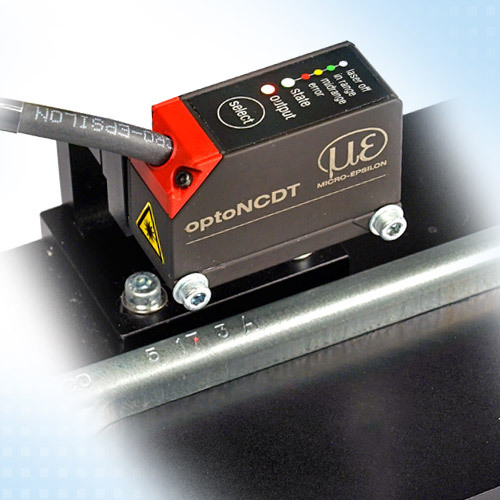 To check the position of the tool holders, optoNCDT 1420 laser sensors are used, which measure the metallic holders from above and from the side. These smart laser sensors stand out due to their high measuring rates while providing precise measurement values, despite strongly reflecting, metallic surfaces. 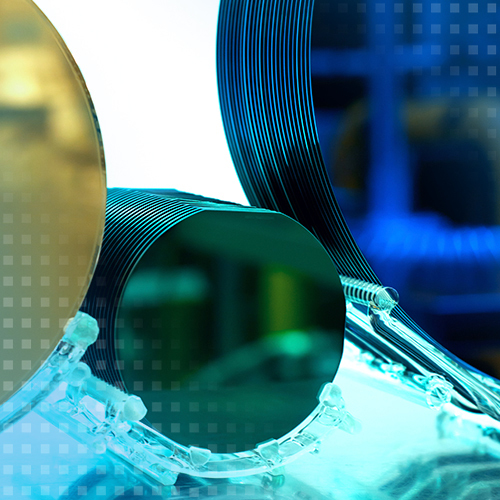 To illuminate individual components on the wafer, the lithographic devices move the wafer to the respective position. Capacitive displacement sensors measure the position of the travel path in order to enable nanometer-accurate positioning. Due to high machining speeds and the heat generated, the linear thermal expansion in milling spindles needs to be compensated for in order to keep the tool in a defined position at all times. The SGS sensor developed by Micro-Epsilon measures the thermal and centrifugal force expansion of the spindle. As well as measuring linear thermal expansion, the temperature of the sensor is also detected and output. During the filling of drinks cartons, the exact dosage is a critical factor. 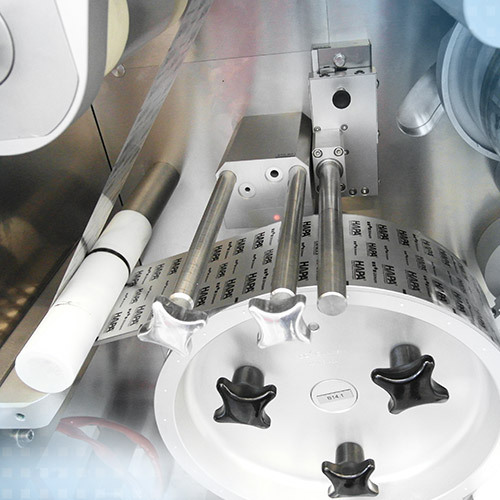 The sensor measures the valve lift of the filling line and requests several switching points in a measuring range of 35mm. The sealed stainless steel housings of the MDS-45-Mxx series are ideal for the food industry. 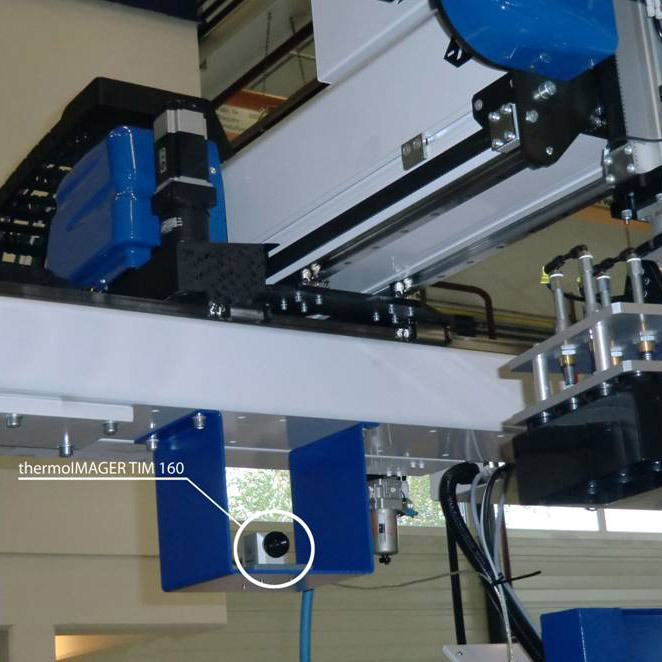 In this application, the MDS sensor recognizes foreign bodies in blister machines during the tablet packaging process. Via the movement of overhead touching rollers, foreign bodies between the blister packaging and covering material can be detected. Exceeding a pre-defined point triggers an alarm. In embossing machines, car body IDs are punched into the vehicle frame. The embossment depth must be in a defined tolerance range. 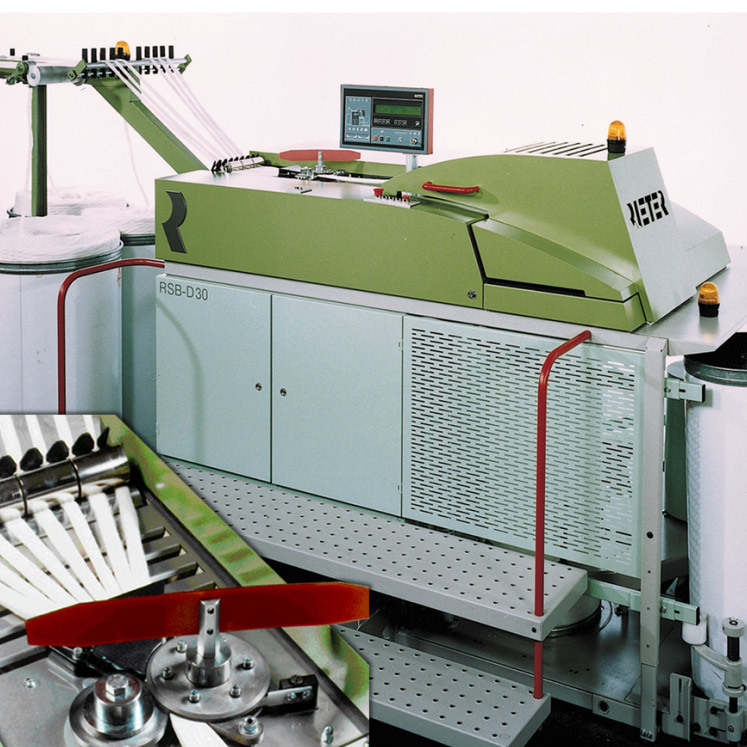 In order to position the embossing tool, laser triangulation sensors from Micro-Epsilon detect the distance between the embossing tool and the component. After the embossment is finished, the sensor measures the profile of the embossment and ensures that all characters are embossed to the required depth. 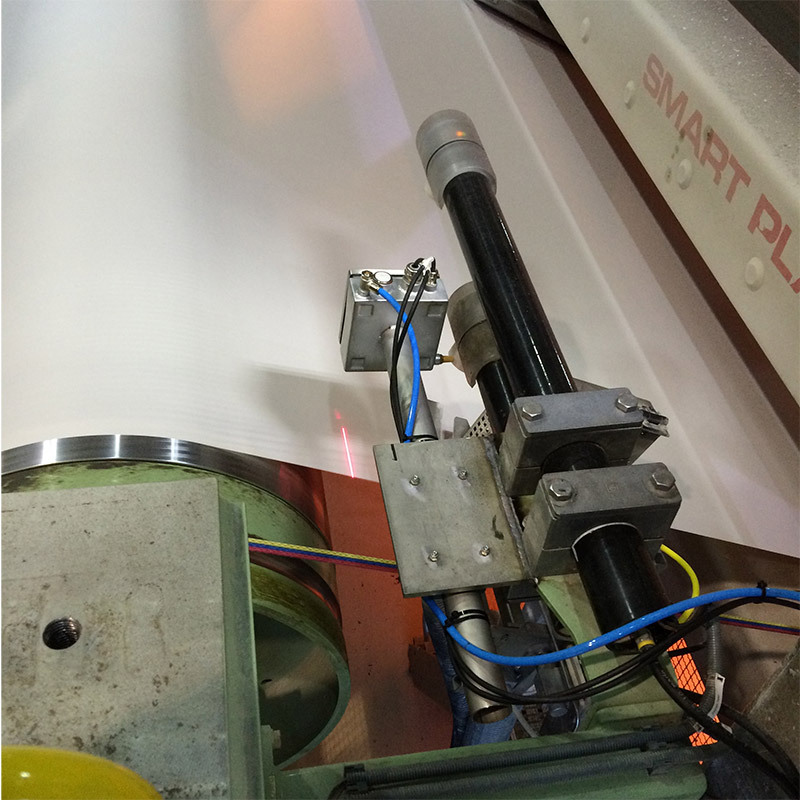 If movement of the paper web in the calender is not exactly executed in one line, the heated calender roller is pressed directly onto the coating of the opposite roller, which can damage it. 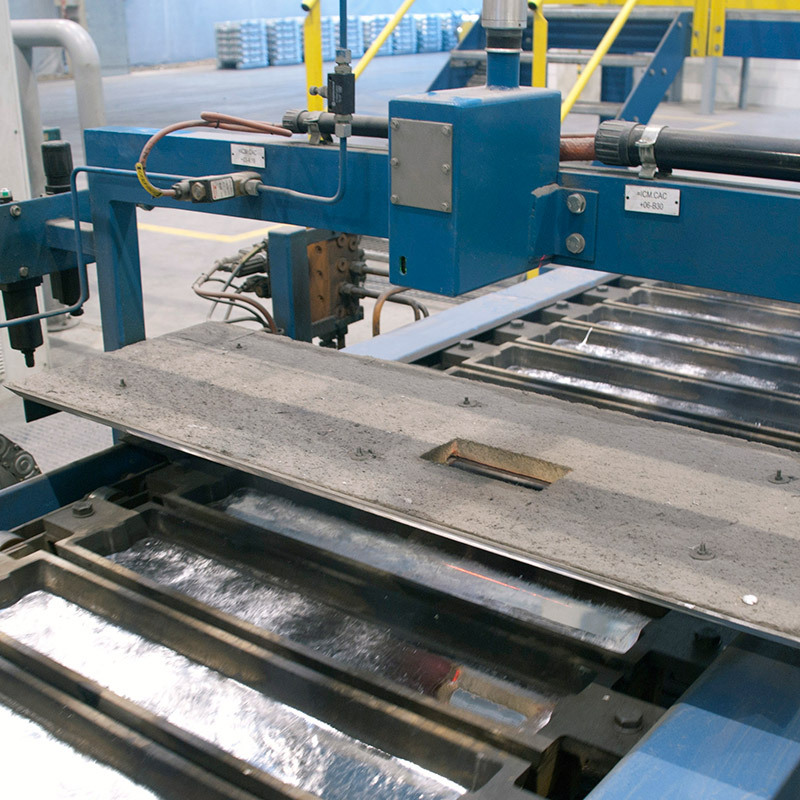 Repairing this special coating or even replacing the whole roller would be very costly, which is why it is mandatory to control the position of the web edge. 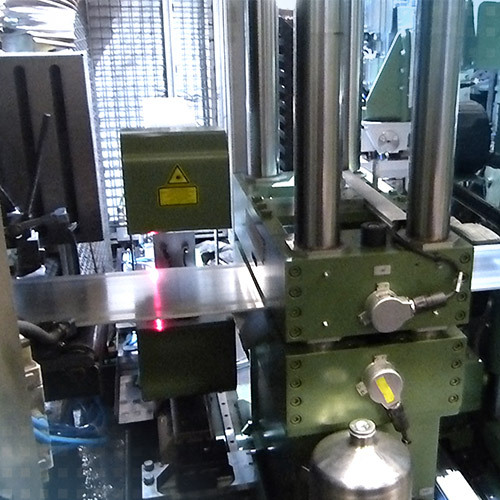 This is where laser line sensors from Micro-Epsilon are utilized, transferring the exact position of the web edge directly to the machine control system. Users of injection molding machines for plastics processing are facing increased quality requirements imposed by end-users, in particular for automotive applications. Because of this trend, the importance of inline temperature control right after extrusion as a global quality attribute is growing. Harsh industrial environments place high demands on optical displacement sensors – precise measurements must still be possible despite dust and high processing speeds. The optoNCDT 1750 and optoNCDT 2300 series of laser sensors have overcome these challenges for many years. However, if motion disturbances (e.g. belt movements, radial movements of pulleys, and base body vibrations) occur that are greater than the object being measured, the measurement process may be impeded or made impossible, for example folds in a belt. 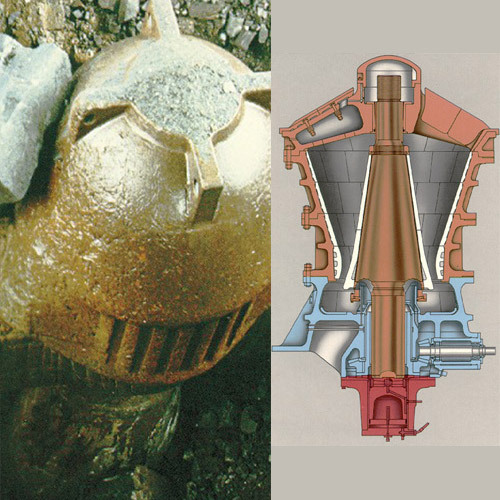 In aluminum casting plants or foundries, the cast is poured into shape to form small bars, known as pig irons. The charging level in the forming process is critical in ensuring consistent weight of the pigs. Using a special non-contact measuring device, the depth of fill is recorded. For these applications, an Austrian system builder uses laser scanners. During the manufacture of veneer strips from laminated wood, the precision of the cutting disk determines the quality of the final product. High demands are placed on the veneer strips in terms of dimensional conformance. The thickness of the strips must be less than 1 mm and may only have tolerances in the micrometer range. In order to comply with the quality criteria, the radial deviation of the cutting disk is measured and monitored during the production process using a non-contact optoNCDT 2300 laser triangulation sensor. This means that high demands are placed on the measuring system: Dust, chippings and a shiny target surface must not affect the measurement accuracy. 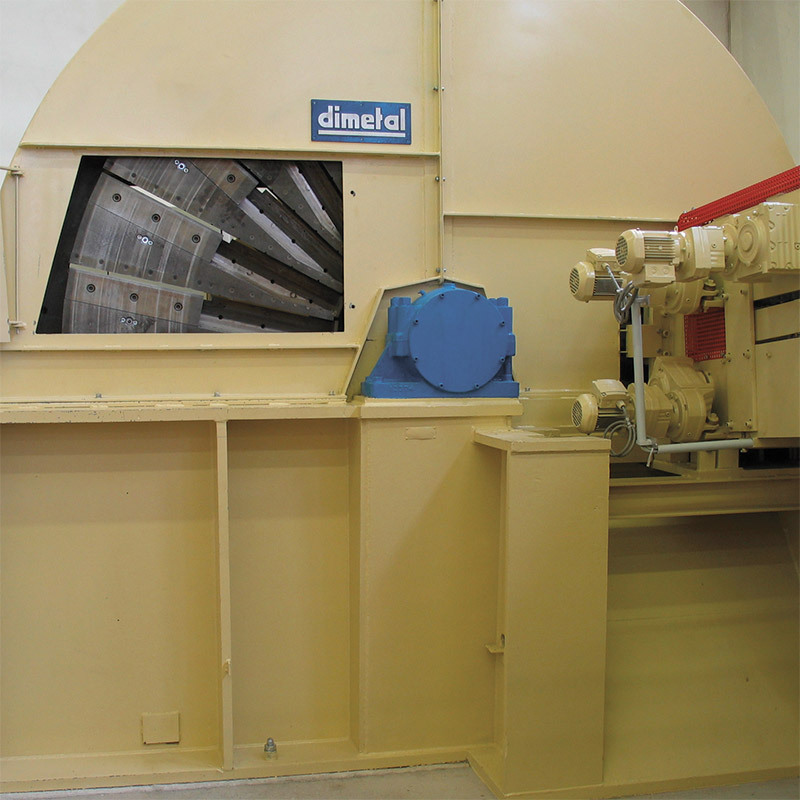 The cutting disk has a diameter of 3200 mm and is equipped with 24 knives. The rotation speed is 180 to 210 rpm. The introduction of the international standard ISO 9283 demands new non-contacting measurement methods. The measurement system for the position measurement is composed of a measurement cube with a defined weight, a sensor and a support. The sensor is equipped with six U15 eddy current sensors. During the measurement the robot moves the measurement cube into the sensor range. The data from the eddy current sensors is passed via a fast interface to the PC where it is processed. Measurement inaccuracies due to linearity and tilting errors (parallelism between the sensor and measurement object) and thermal effects are additionally compensated in the measurement software. 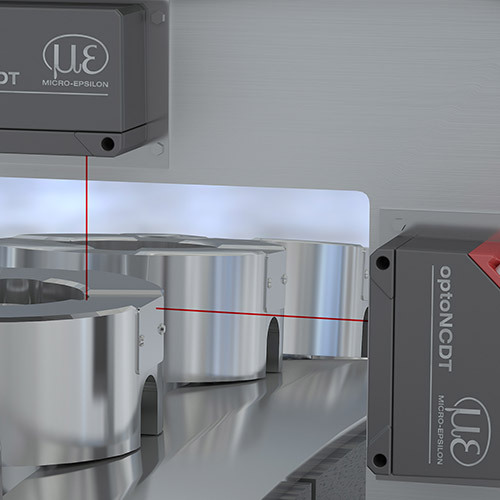 For the prompt detection of incorrect thickness of aluminum strips, optoNCDT laser triangulation sensors are used as modern alternative solution to isotopic measuring systems. At the measurement location, the sensors are mounted opposite to each other, above and below the conveyed aluminum strip. Regardless of the exact height position of the strip, the sensors provide the exact material thickness based on a simple distance signal coupling, F=Ref. - (A + B). A consistent yarn thickness is a prerequisite in the textile industry for high quality products. Therefore, the naturally occurring yarn thickness fluctuations must be eliminated. The yarn is drawn to a constant thickness using a stretching tool. The measured data for controlling the stretching tool are provided by an eddy current sensor which indirectly measures the thickness. The thickness is transmitted to the eddy current sensor using sensing rollers. After the stretching, the result of the processing operation is also checked by an eddy current sensor.